In urban legend lore, they were known as the Lizard People. Supposedly (at least according to legends) they built underground cities throughout the western United States and beyond. Many websites point out that they may have lived 3,000 years ago in Southern California. Also, the source of many of these reports came from oral traditions told within the Hopi Indian nation. Evidence beyond hearsay and folklore had been hard to find. That was until a self-described engineer and amateur minor briefly heightened its possibility of actually existing. With his “hi-tech” device, he claimed to have found evidence of their lost city under the site of a former military fort near downtown. His discovery would become big news in the growing city and spark a search that continues to this day. G. Warren Shufelt was the man in question. He claimed to be a geophysicist and mining engineer. And, seemingly, nobody at the time questioned his claim. Evidently, nobody seem to ponder his scheme, either. Some accounts claimed that Shufelt was looking for oil or possibly gold when he found the tunnels with his device. After all, LA was a major oil producer at the time, and there were plenty of rumors that there were gold in the many hills in and around the city. According to the LA Times article, the device (as shown in a photo printed by the newspaper at the time) was a pendulum suspended within a glass cylinder and black case and had several compasses on the outside and a copper wire that acted as the “eyes” for the operator of the system. How it acted as an eye was never fully explained. “My radio x-ray pictures of the tunnels and rooms, which are subsurface voids, and of gold pictures with perfect corners, sides and ends, are scientific proof of their existence.” He was quoted as saying about his contraption. He discovered the tunnels upon his first try; however, he wasn’t finished. After his discovery, Shuwalt sought advice from Little Chief Greenleaf of the Hopi Nation’s medicine lodge in Arizona. The chief (also went by the name of L. Macklin) told him about the legend of the lizard people and how they had built several underground cities in American West, Mexico, and Central America. 5. The catacombs supplied imperishable food and herbs to help the Lizard people to live for a long time underground. He also learned that the Lizard people had a mode to their infrastructure plan. They believed lizards symbolized longevity. Thus, they designed a city grid that was in the shape of a lizard. There was something else that Shufelt learned from the Chief. Consultation with Chief Greenleaf led to another crucial search for clues. The underground city’s catacombs contained gold tablets. It’s not clear if Shufelt knew he found the 37 tablets that the Chief claimed were there before he consulted with him. However, in the Times article he stated that his device found them. To start his excavation he chose Fort Moore Hill near downtown. In part, Greenleaf had advised him to look for the city near a series of hills. And, according to later reports, Greenleaf had supplied the map (this is still up for debate). Fort Moore Hill ‘s colorful history is a story in its own right. It once held an abandoned military fort that dated back to the days of the Mexican-American War. Over the years, it had gone through several incarnations — including a site for several failed gold mines. Shufelt convinced the city to allow him to excavate the hill off of North Hill Street. There, he and his assistants drilled 250 feet below the surface, hoping to find the tunnels. However, the search yielded nothing but mud and water. It was later revealed that he drilled through undetected water table and flooded the caverns (if they existed). The flooding ultimately ended Shufelt’s attempt to find the lost city — and to prove his X-Ray device worked. Ultimately, Shufelt’s attempt failed to produce definitive evidence. The excavation quickly ended and faded into the city’s history. Even Shufelt and his device became obscure footnotes to the city’s lore. But, the legend of the Lizard People endured, despite a lack of evidence. It became part of the city’s mythology. Eventually, it would be presented again on the Internet and become an urban legend for a new generation. Also, some people still believe that the Lizard People really existed. However, that search is not in the middle of the City of Angels. It has moved on to other places such as the region surrounding Northern California’s Mount Shasta. Since that fateful day in January 1934, many things have changed. The city grew exponentially, spreading across the massive basin, hills, beaches, canyons and mountains. Eventually, it became the 2nd largest city in the United States, boasting enclaves of Mexican, Central American, Chinese, Japanese, Korean, Indian, Jewish and Armenian neighborhoods (to name a few) throughout the metropolitan area. The city and its suburbs have become one of the most diversified cities in the country. Still, one group, the Lizard People, are nowhere to be found. Perhaps they never will. Yep, only in L.A! There has been a lot confusion about the physical characteristics of the Lizard People of Los Angeles. Without any definitive evidence, there’s no way of knowing what they looked like (or if they existed, at all). However, Hopi tales about the people indicate that they were purely humans who happen to worship lizards. They believed that lizards symbolized longevity. 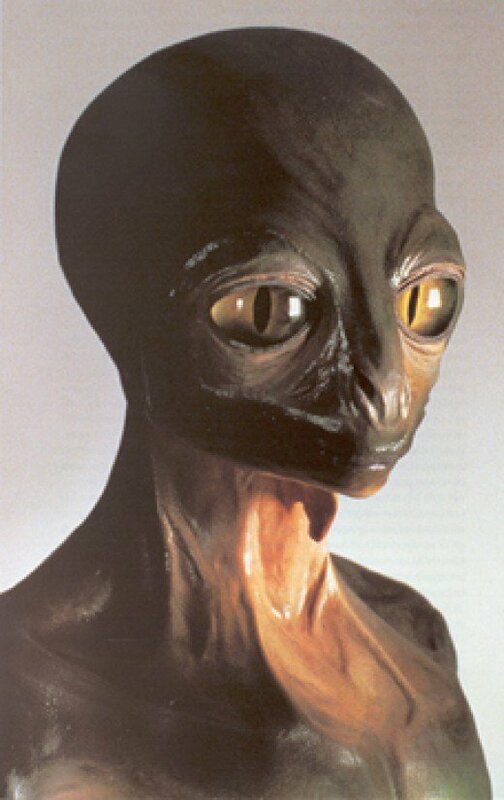 Many Internet sites have made outlandish claims that the people were reptoids — that is a human-lizard hybrid. Oddly enough, this concept may have been influenced by a British fringe conspiracy theorist David Icke. Icke’s claim to fame is that the world is being secretly run by lizard-like humanoids. This belief is unrelated to the Lizard People of Los Angeles. Still, many website that follow Icke’s belief have used it as “proof” of its existence.